I was surprised but not entirely shocked by the plentiful early crowd at The Other Side of Cervantes on Friday night. 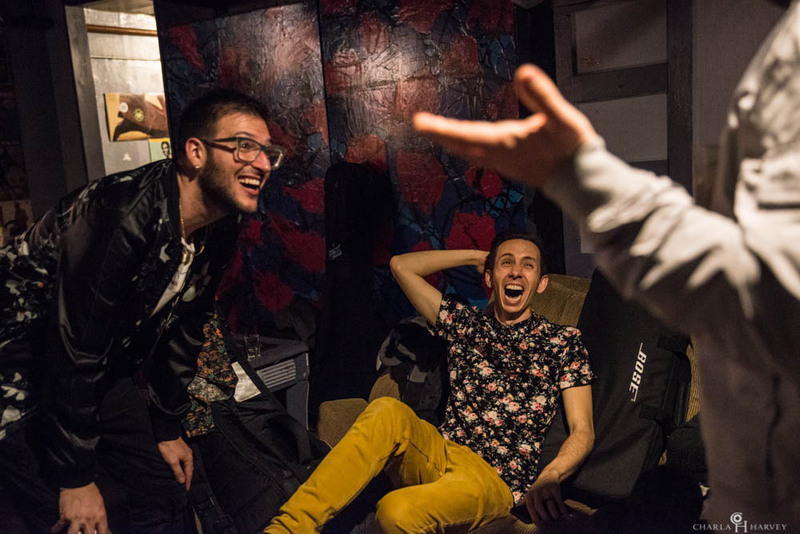 The room was filling up quick not long after “doors” and so was the excitement in anticipation of Vulfpeck’s featured members, Cory Wong and Antwaun Stanley to take the stage, as well as the newly formed funk super group Matador! Soul Sounds to follow. House lights faded and Cory Wong’s band humbly sauntered over to their instruments; Petar Janjic sat at the right side of the drum set while Steve Goold was to the left half of the kit (an inventive tandem setup). Kevin Macintire saddled his bass around his neck and Kevin Gasonguay approached the keyboards. The band kicked things off with a tight, mid-tempo funk groove with plenty of backbeat and rock solid bass thump. A few minutes of vamping and Cory runs onto the stage with enthusiasm and a smile - seemingly out of breath; eager. As soon as Cory started laying down some funky chucks on his punchy Fender Strat, we knew it was on. Most of the songs were instrumental and not dissimilar to classic Vulfpeckian sound - deep pocket grooves, catchy riffs, virtually infallible musicianship, and tight as all hell. Antwaun Stanley graced the room with his soulful golden pipes on a handful of tunes including Bruce Hornsby’s 90s hit, “The Way It Is.” I see the merit of a good cover not only to be in the execution or new interpretation that it brings, but also the appropriate-ness and relevancy of the song choice to present time. Considering the world’s affairs, racial issues, and the social plight of the modern human condition, this cover selection hit the mark. Before you made the rules?" In addition to Cory Wong’s band delivering a fully satisfying set of itch scratching funk, we were treated unexpectedly to a variety show filled with humor, multimedia, and even a few music lessons. One song was set to the accompaniment of a Jurassic Park scene, which was projected onto a screen behind the band. 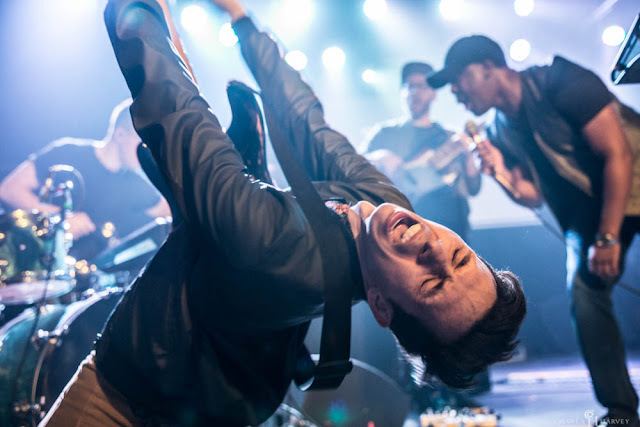 Cory Wong also enlightened the crowd to his impassioned yet possibly facetious reverence to smooth jazz and admiration for saxophonist Dave Koz and his annual smooth jazz cruise that he claimed his band was trying to play. He had the audience identify Weather Reports’ “Teen Town hi-hat pattern” by applauding whenever Petar Janjic would sneak it into a song for a few measures. Cory also instructed everyone in the room how to count out a Serbian time signature using a mnemonic device. He had the audience chant in rhythm to the drums “Give me my Chipotle, Give me my Chipotle, I want Chips, I want Guac, Give me my Chipotle.” Needless to say, Cory’s band, showmanship, and quirky musings were joyously engaging. A brief set break and shuffling of gear on-stage before it was time for Matador! 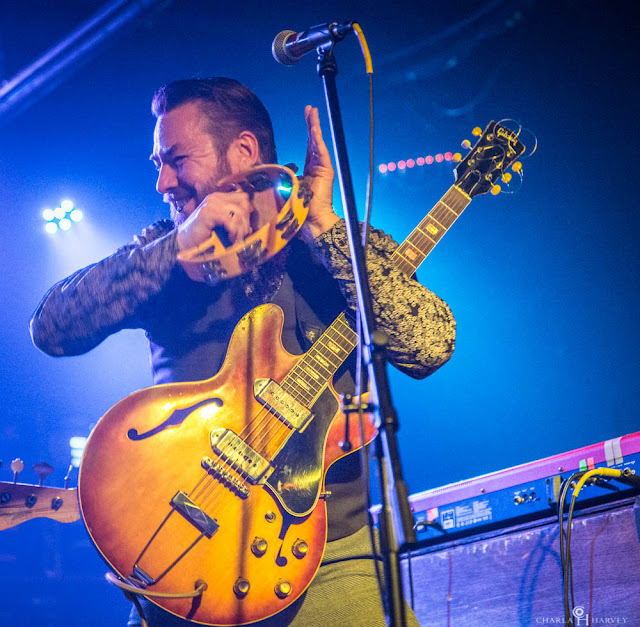 Soul Sounds to take us on our next musical sojourn into a different realm of funk. The song selection was sultry and dealt with a recurring theme of love, all played with swagger of course. The crowd was back in their dancing shoes in no time at all. Eddie Roberts’ signature staccato licks filled the air. The energy was kept on high throughout the set; you could feel that this project had verve. Everyone in the band brought forth an inspired energy. This was also probably the closest I had seen a band situated towards the front of the stage in recent memory – they wanted to be close to the action. Alan Evans exudes a confidence and prowess on the drums that cannot go unrecognized, his presence commands attention. Kevin Scott similarly brings a monstrous bass tone and punctuality that provides ample foundation for groove. 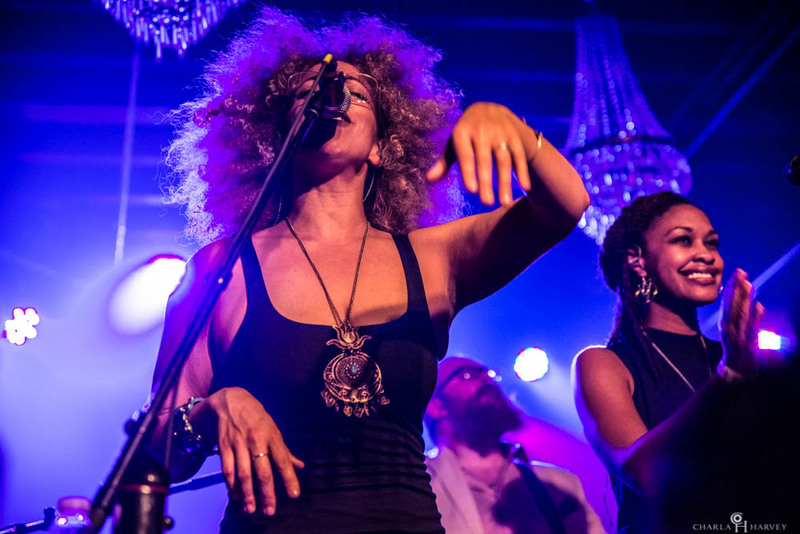 Kim Dawson and Adryon De Leon are the vocal soul of the band and elevated things to new heights with their lush harmonic treatment of the groups’ mostly original music throughout the set. I found the sound to strike a nice balance between instrumental funk akin to New Mastersounds-ish compositions but also more traditional heavy hitting funk somewhat reminiscent of Sly and the Family Stone. Chris Spies on keys provided a perfect accompaniment which sat evenly in the range of instrumentation, everything had its’ place. And that’s how the whole night felt frankly, a “Goldie Locks” affair, just right. A fiery encore and the house lights went up. We were left basking in the all familiar after show glow; some eager to leave and get the after party started and others reluctant to leave the venue, leaving what they felt in the room behind and facing the next work day ahead. But wherever we go after the show, the secret is to take that feeling with us, and to carry it on in our daily lives.